Enduringly popular, distinctly masculine and memorable. Paco Rabanne Pour Homme was created in 1973 as a timeless fragrance for men of all tastes and ages. Aromatic top notes of Bergamot, Lavender, Thyme and Rosemary create a distinctive signature. A hear of spicy Tarragon, Geranium and Clove warm the fragrance considerably. A dry down of Wood, Amber and Musk is made exceptional with added notes of Lentisk, Cistus, Oakmoss and Honeyed tobacco. 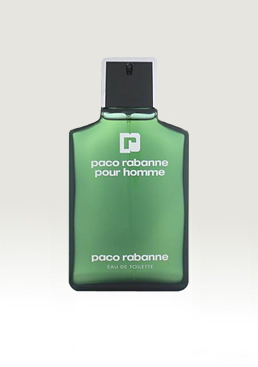 Paco Rabanne Pour Homme is an unforgettable scent with a refreshing and refined character.